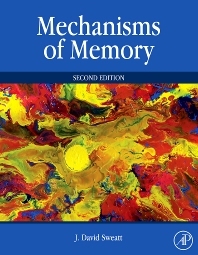 This fully revised second edition provides the only unified synthesis of available information concerning the mechanisms of higher-order memory formation. It spans the range from learning theory, to human and animal behavioral learning models, to cellular physiology and biochemistry. It is unique in its incorporation of chapters on memory disorders, tying in these clinically important syndromes with the basic science of synaptic plasticity and memory mechanisms. It also covers cutting-edge approaches such as the use of genetically engineered animals in studies of memory and memory diseases. Written in an engaging and easily readable style and extensively illustrated with many new, full-color figures to help explain key concepts, this book demystifies the complexities of memory and deepens the reader’s understanding. More than 25% new content, particularly expanding the scope to include new findings in translational research. Senior undergraduates and graduate students studying memory, as well as those interested in the medical professions and in translational aspects of basic memory research. F. Post-Synaptic Changes in Excitability? B. What are Epigenetic Marks and What do they do? II . What is Alzheimer’s Disease?